Plasma science and its many applications make significant contributions to society and to the quality of our lives. But this exciting and rapidly progressing field of science is little understood or appreciated by the general public, including the media, the education community and policy-makers. As a result, progress in education, support for basic research, and the pace of technological innovations stemming from plasma science all suffer. To remedy this situation, a group of individuals and organizations with an interest in plasma science research and applications joined together to form the Coalition. The mission of CPS is to increase public awareness and understanding of plasma science and its many applications and benefits for society. 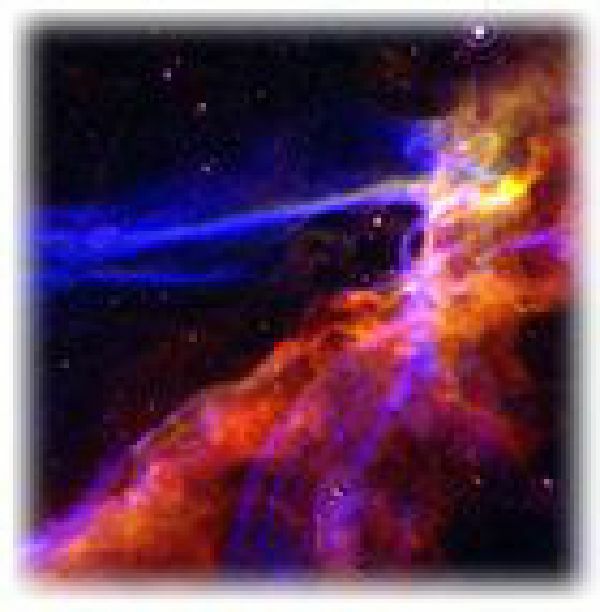 Maintain a web site that provides information about plasmas and has appropriate references and links to show the wonder, utility and diversity of plasmas. Meetings of the Coalition are typically held the third Thursday of the month. Participation in the Coalition is accomplished by conference call - a virtual meeting. All are welcome to attend. European Network "Efficient Lighting for the 21st Century"
University of Nevada, Reno, Physics Dept. Email to CPS [at] plasmacoalition.org, or call toll free ☏ 1-877 - PLASMAS (1-877-752-7627). A member of the Coalition for Plasma Science Steering Committee will be in touch with you regarding prospective membership for your organization. The Coalition for Plasma Science has initiated and carried out a number of events and activities directed toward its goal of increasing public awareness and understanding of plasma science and its many applications and benefits for society. Below is a brief list of some of those efforts, some completed as well as some underway or planned. The audience for these activities and events includes the media, the education community and government policy makers. Our goal is to represent a broad range of plasma science interests and to have a significant impact on the public and congressional awareness of plasma science. CPS presents educational talks to governmental representatives and their staffs to help them understand the every day presence of plasmas in their lives, and the possibilities this state-of-matter holds for the future. 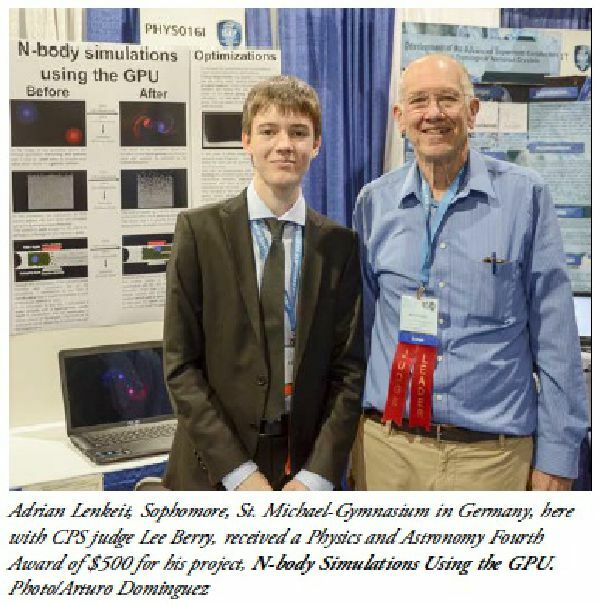 Beginning in 2005 CPS established a presence at the INTEL International Science and Engineering Fair, sponsoring a $1000 Plasma Science Prize for the best plasma-related project. The prize has since increased to $1500. For a report on this year's Intel Fair please see the latest CPS Plasma Page. The CPS Education Web Site features a comprehensive list of plasma education web sites, each rated against national science standards, that can help K-12 teachers integrate a study of plasmas into their curricula. Students will enjoy it as well! CPS and its members annually participate in the American Physical Society - Division of Plasma Physics Science Teachers Day and Plasma Sciences Expo - for middle and high school teachers and their students. The free teacher training workshops typically support about 100+ participants, while the Expo, filled with hands-on demonsration of plasma-related physics, attracts 1000 - 2500 students. The most recent events can be found here. This semiannual newsletter reports about recent and future CPS activities, with occasional features about specific plasma science and applications. The complete archive can be found under CPS News. The CPS Steering Committee has been working to coordinate with and complement the National Academies of Sciences Plasma Science Committee activities. CPS has suggested to the NRC a symposium on plasma science to improve the interaction of industry with universities, laboratories and government programs. 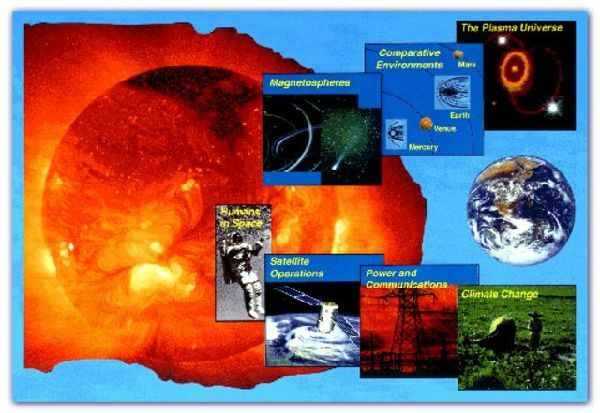 They have also suggested a study of the economic significance of plasma science and technology. The Coalition conducted an informal study to determine the extent to which plasmas are being introduced in K-undergraduate level text books. Many of the newer high school books do contain limited discussions of plasma. However, the National Science Education Standards, the current national curriculum standards of the National Research Council (issued in 1996), do not mention plasmas. Most college textbooks, especially the newer ones, contained good discussions of plasmas. 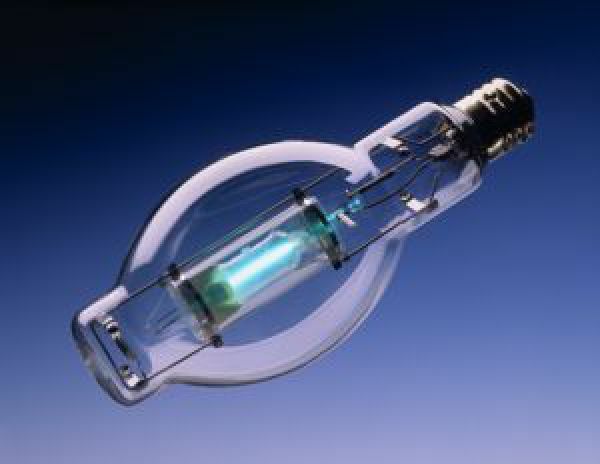 A letter was written to the National Research Council recommending that future revisions of the standards include plasma as a fourth state of matter. 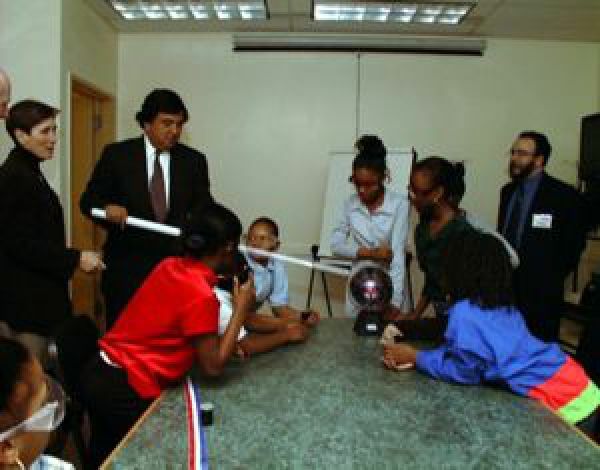 The Coalition organized this special plenary session featuring Prof. David Newman, who stressed the importance of communicating about plasma science to nontechnical audiences, offered ways to do it effectively, and presented dramatic demonstrations that could be used by others. He was joined by a panel of three local K-12 teachers. The Coalition sponsored and organized this special panel session to help attending scientists and engineers understand the importance of communicating about plasmas outside the technical community, and how to improve that communication. The panelists represented television, newspapers, magazines and government. 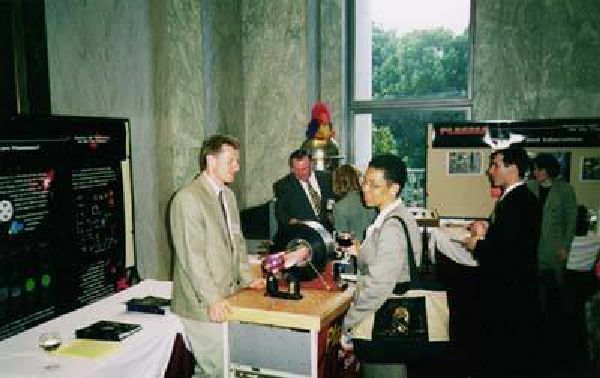 This reception and interactive exhibit for Members of Congress, their staffs, and government agency representatives, examined plasmas and their many scientific, commercial and practical applications. The event featured demonstrations, posters, hands-on exhibits and both model and operating plasma devices. 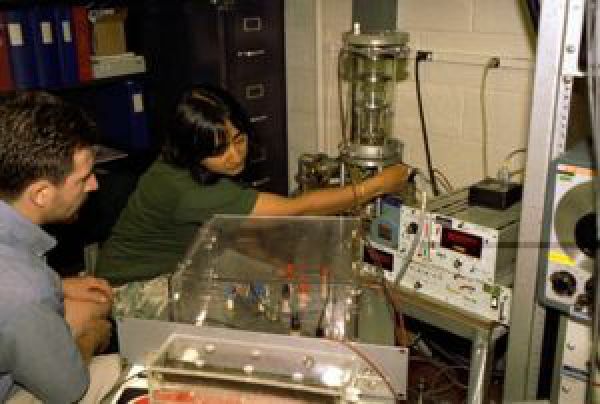 During a week in April 1997, CPS and some of its members contributed help and materials for this plasma community exhibit, which highlighted the breadth and significance of plasmas, ranging from their presence in nature to familiar applications in everyday life, and which pointed out plasma-based technologies being developed for the future.